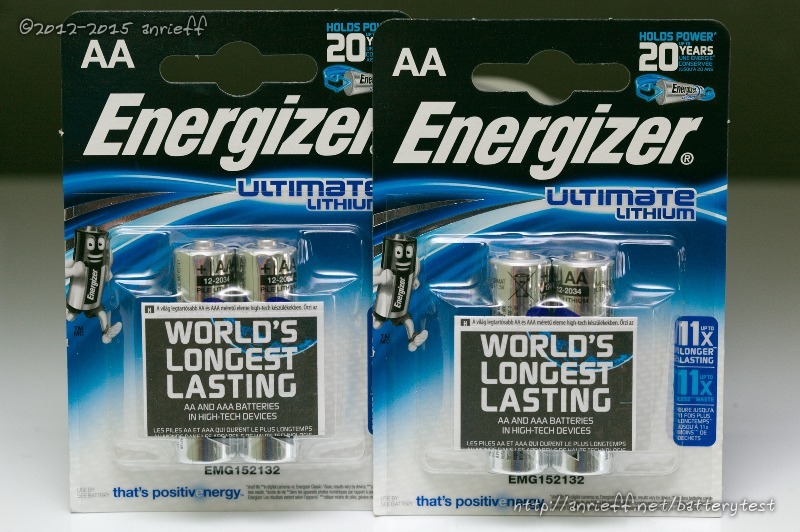 The Energizer Lithium series batteries utilize a different chemistry - Li-FeS2. 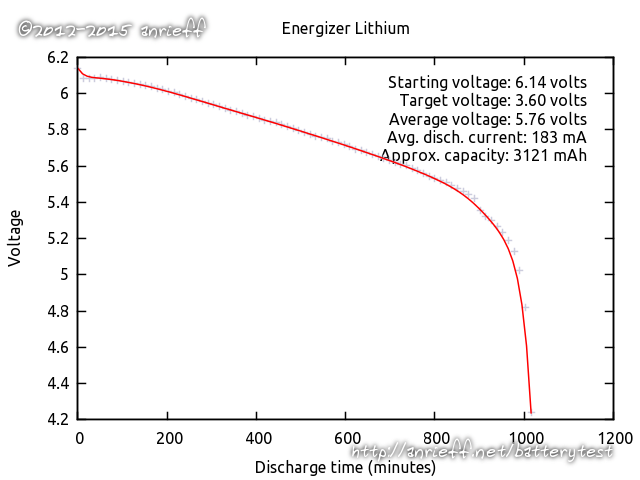 Similar to the other lithium cells in this form-factor tested (Varta Lithium Professional), they exhibit a higher voltage, compared to their alkaline competitors. The pack pictured produced 7.07V initially (1.76 per cell), which is significantly more than what's customary for alkalines (6.3-6.4, about 1.55-1.60 per cell). The heating phase reduced this to 6.72, still quite a bit more. The other significant difference is their bigger capacity. 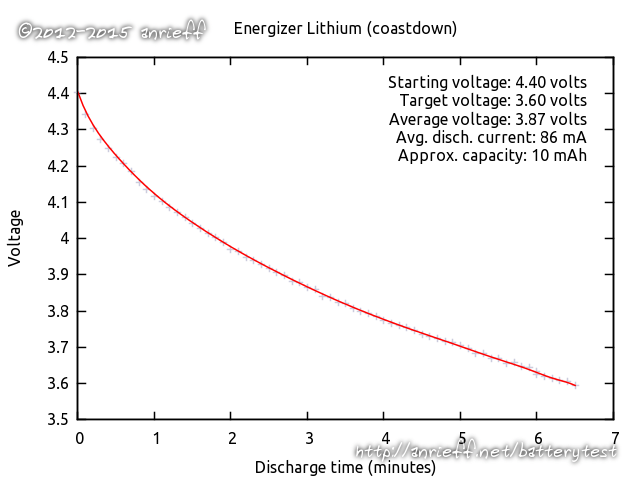 While the Varta Lithiums had some kind of a defect and didn't really shine, the Energizers easily passed the 3000 mAh "barrier" - clocking a bit more than 3100 mAh, with no coastdown charge left (the main discharge took 99% of the energy). All in all, these are the best tested AA-sized cells yet, even though the price makes them uncomparable to alkalines, but that seems to be the norm for this chemistry.